We will be having a special combined worship service in the Sanctuary at 10:00 am. There will also be a simultaneous Children’s Service that will take place. After the combined service, Central will be providing a free buffet luncheon by Grandma Hoyt’s Country Buffett in the CAC. As promised during that time a slide show presentation of the survey results will be given. 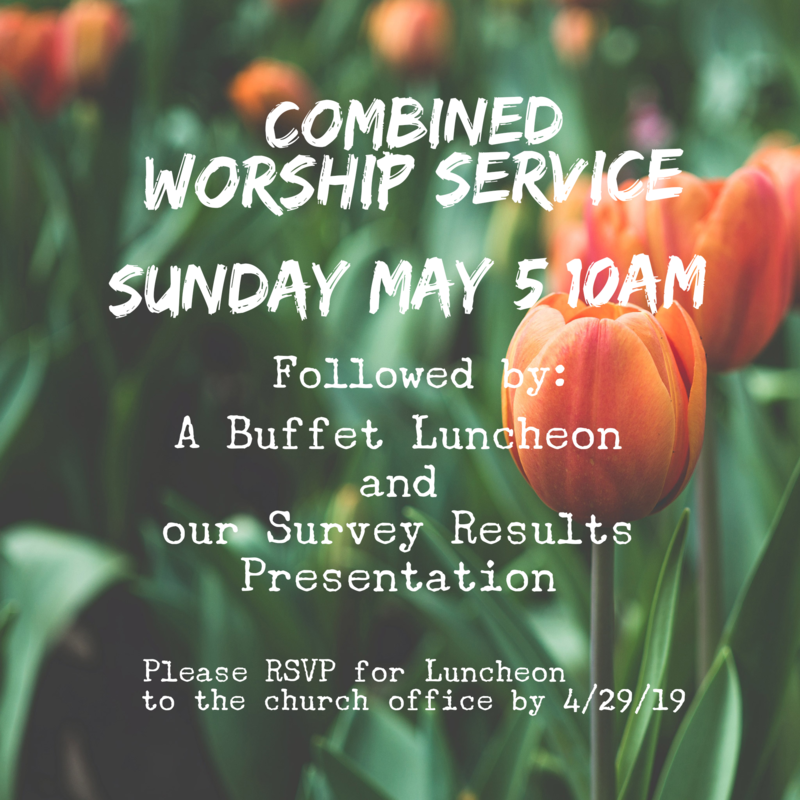 Please be sure to RSVP to the church office at 704-739-2471 by May 1, 2019, with the number in your family so that we can get a headcount.